Fancy a Lobster Telephone? Or perhaps a gooey melting pocket clock? 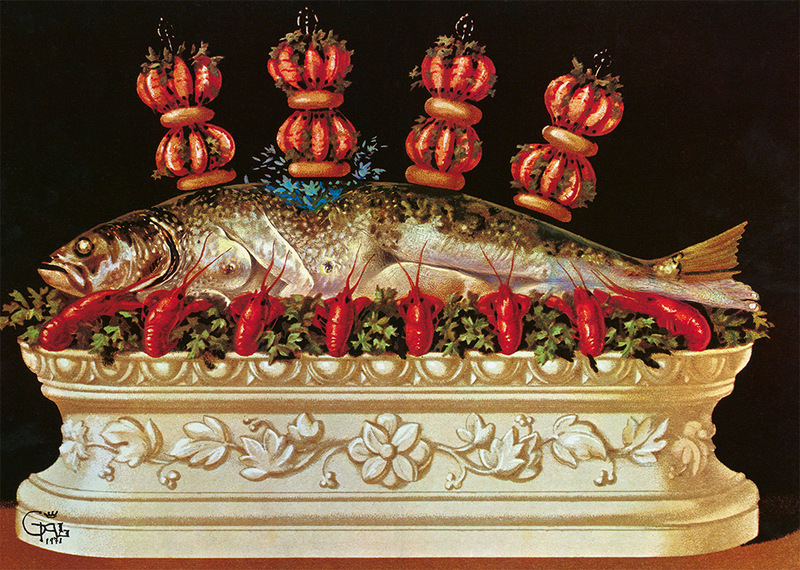 Salvador Dalí’s Les Dîners de Gala is not your usual cookbook and, while the 1973 original edition is bordering the $500 mark, food and art lovers will soon be able to discover this surreal dishes for a fraction of this price thanks to Taschen, who will reprint it for the first time in 43 years. With only about 400 copies of the original known to be in existence, the collection of 136 recipes that the artist and his wife, Gala, compiled for this work is now available for pre-order on Amazon and while its official publishing date is set on November 20th, the book has already become the online retailer’s number one Best Seller in the Entertaining & Holiday Cooking category. Not only the book features 12 chapters filled with recipes such as “Thousand Year Old Eggs”, “Frog Pasties”, and “Veal Cutlets Stuffed With Snails” -most of them possible to replicate at home with varying degrees of effort- but it also includes illustrations by the artist and engaging photography.